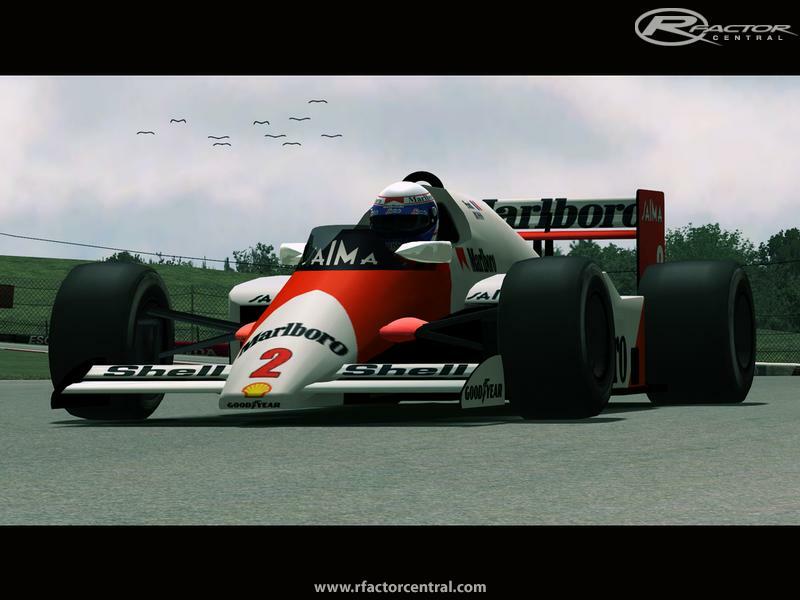 rFactor mod of the 1985 Formula One Season. Hystorical-Edition, all cars has it’s own physics. 1.You must warm up the tires for two laps before you can push the car. 3.Important, when you use higher turbo pressure you need more fuel, please put in more fuel for a race and take a look to the fuel. 4.Important, more turbo pressure increased the engine temp and blow up the engine, you must one eye on the temp! when the temp is to high, go back 1 or 2 steps. 5.Carefully with the throttle, these cars are beast you drive the powerful f1 cars ever. 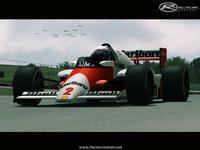 Gerhard Berger says "You need big balls to drive these cars"
6.The Startsetup have low RPM. You can adjust it. You agree not to modify or distribute any of the files without permission. You agree not to convert any of the files to any other gaming format without permission. You agree to not use any of the files for promotional or commercial use without written permission. You don’t run races for money. The mod can be used only for free. We would like to say special thanks to all, who ever sent a report about the demos to us while the 2 years working. To all, who collected photos about the cars, pointing the errors, and to all who gave to us power to work more and more. Thank you again. 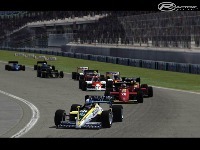 Finaly we hope you will enjoy to drive the cars! 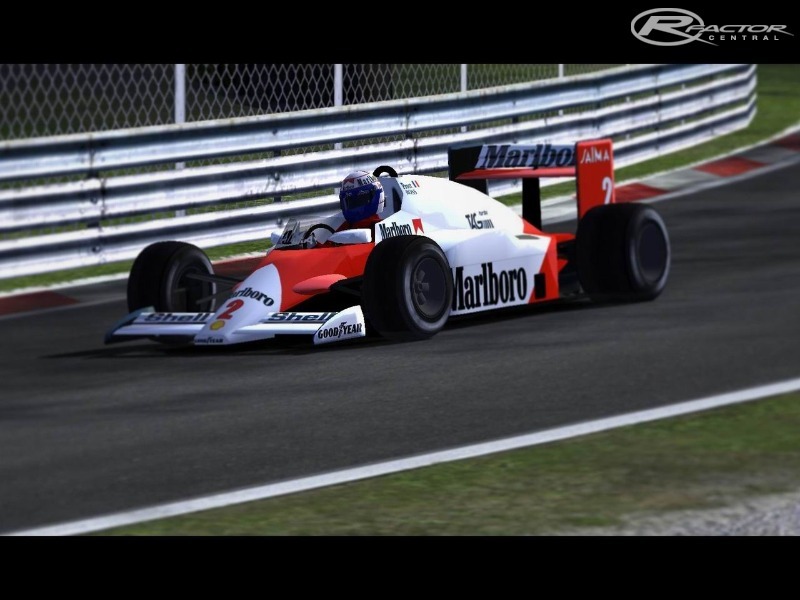 all driving aid are "off"
Hi Markus - thankyou very very much for this fantastic mod - it is a fantastic work of technical and artistic detail - very fun to play and a magnificent record of the 1985 season. 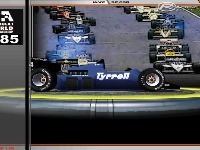 I started to paint a skin a bit like an old indycar and it gave me the idea to use some of the models in your mod as the basis for my own 1986 Indycar World Series Mod. I would love to get your permission in the spirit of R-Factor to do so. 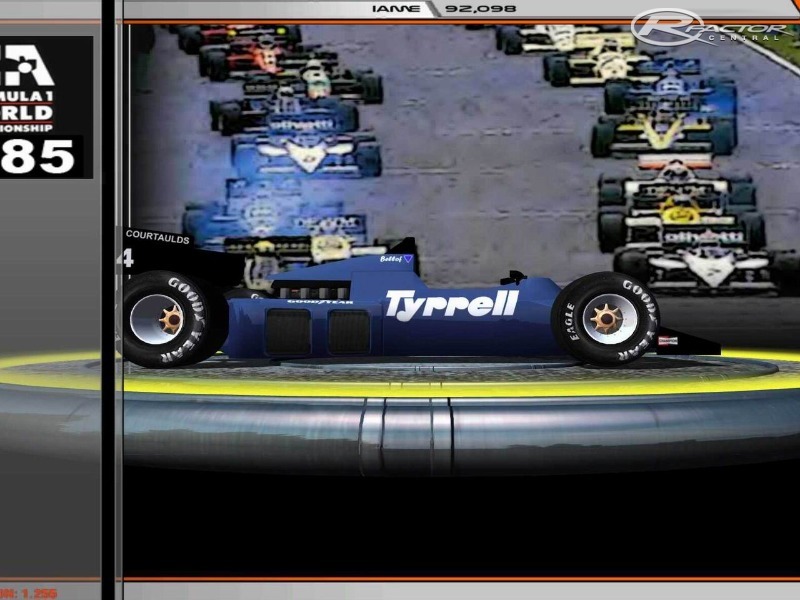 I have already painted quite a few skins, edited a few videos and mucked around a bit with some of your brilliantly made and very accurate cars - of course they don't look exactly like 1986 version Indycars. 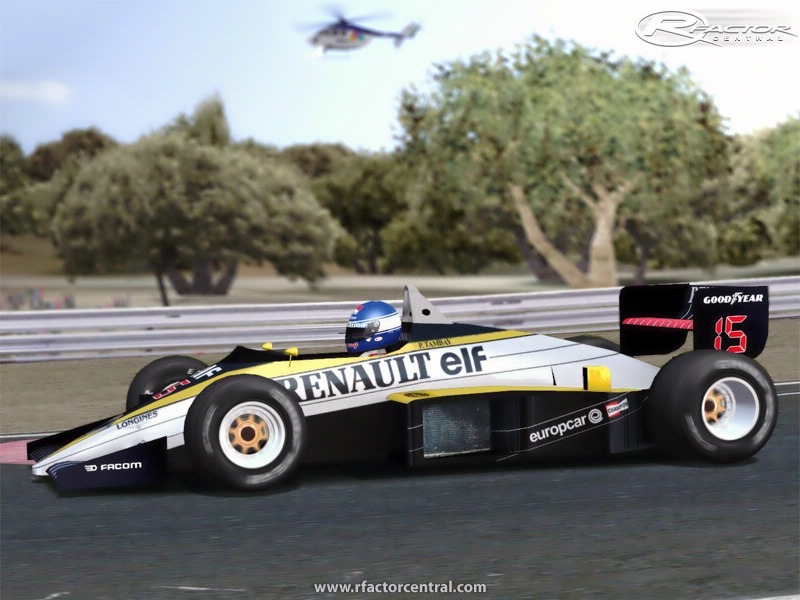 I would love to have your skill to be able to model them more accurately for the series, but there are a few which are close enough to convey the look and feel of an Indycar as opposed to Formula One. I look forward to your reply and your consent - of course it would be released for free here on r-factor central and both yourself and Valliante would be greatly acknowledged within the mod itself. I can provide you some pictures and videos of my ideas on request if you are in a position to help.. but by the looks of your very professional website - you are very busy! markusmatthias, thanks for that clarification. For some reason, we thought a version 2.0 had been released, but that doesn't seem to be the case. We've edited our own download package to reflect v1.02. The 1.02 is the only original version from us. Look to my page there is the 1.0 + 1.02 patch. Does anyone know what the final version of this mod was? While fixing some broken links, I noticed there's a version 2.0, but that isn't reflected on the mod page. I see links for 1985_MVCR010_1087 but it's not clear what MVCR010 signifies. Hopefully Valiante or Markus get this message, please let us know and we'll update mod version and links accordingly. Cheers! Awesome MOD I just wonder why the Arrows is so dark. It was more of a light tan. Other than that this MOD is sick. I just finished watching the 1985 season and this is great. The menu could use a little work as well. It could be more immersive like the SRM 1990 MOD. I also think the setup screen and tire heat monitor could be unique. All in all though this MOD is great. Thank you for all your hard work.